Congratulations to the recipients of this year’s Education Foundation 313 Mini-Grant Awards! There were 16 grantees in the amount of just over $5,000. In addition, the Education Foundation gave a grant of $2,500 to the District for the Plum Creek Drainage Project. More information will be sent to the grantees on the process for the spending of those funds. 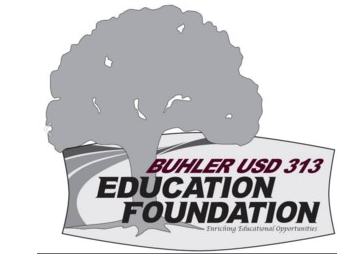 Thanks to the Buhler USD 313 Education Foundation for these grants that will provide extra funds for classroom projects that are too large for their regular budgets. Papenfuss, Sue PCE $311 Two Books are Better than One! Wilkinson, Victor PHMS $311 How Sweet it Is!